A memo penned by Microsoft Games division boss Don Mattrick gives a glimpse into the company’s 2008 gaming strategy, which Mattrick predicts will see the home console cement itself as the market leader. The memo, forwarded to various media outlets including Next-Gen, focused on Microsoft’s Consumer Electronics Show announcements and also outlined Microsoft’s plans to broaden its home console market share in 2008. Mattrick suggested that Xbox 360’s ability to generate greater third party revenue than its rivals will play a key role in the console’s success. "History has shown that the eventual winner of each console generation was the console that generated the most third party revenue, and according to the most recent NPD data, Xbox 360 generated more third party revenue in 2007 than Nintendo and Sony combined," he stated. 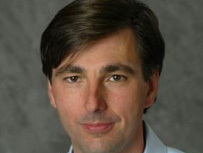 While Mattrick noted that it is still important to capture core gamers, he said that it was necessary to “captivate the masses” with more mass-market friendly games and media content, as well as to improve Microsoft’s “brand appeal to consumers interested in more physical game play… By this measurement, I feel confident that we are best positioned for success. Microsoft announced earlier that it has sold 17.7 million Xbox 360s globally, and that its online gaming and media content service Xbox Live has passed the 10 million subscriber mark six months earlier than anticipated.